I have no idea about the new varieties or the new labels, but you're like the Woodward & Bernstein of craft beer. Keep up the great work! Personally, I find this change extreamly disappointing. Hop Szar was my favorite beer. Hop Czar Imperial IPA was in my top five favorite IPAs. The new Citra dry-hopped IPA would not make it into my top 30 favorites.The flavor is quite weak and one dimensional.I hope the next incarnation is better I will not purchase this version again. Bring back the original Czar! PLEASE! Hop Czar was my top IPA by far. Spent a lot of money on it. Tried the new one, wasn't impressed. I don't understand the change, but I am also not a brewer. Time to find another IPA. I am disappointed in the new hop czar. The name should have changed so people would not have been duped into thinking they were getting the same product. Hop Bishop, or Hop Leader. I am another disappointed, long time Hop Czar fan. It was in fact my favorite IPA purchased by the case every week. Picked up my case last week and was surprised to discover the unwelcome change. Not that it's a bad IPA, just not as good and no longer my favorite, switching to Unita Hop Nosh for now. The original Hop Czar has been my go to IPA for well over 2 years, and as such, has become my favorite. I am thoroughly disappointed by the new rotating series and feel that I was bamboozled into buying it by Bridgeport using the Hop Czar name. I can understand brewers wanting to experiment, but for gods sake, create a new series for your inferior product so as not to sully the good name of our beloved Hop Czar. 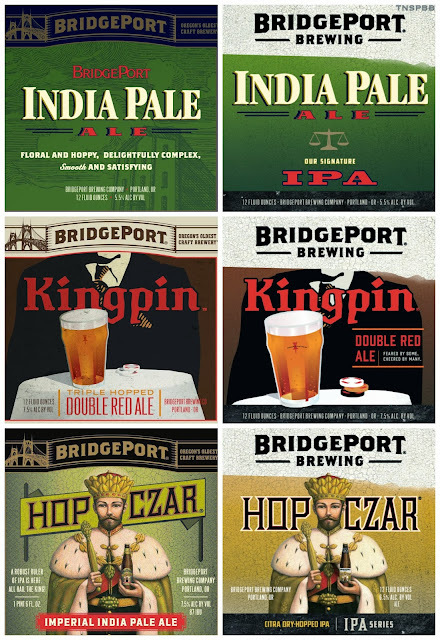 I plead with Bridgeport to restore the lifeblood of the original Hop Czar. Big ditto on being negatory to the new Hop Czar. Changing the formula (and shrinking the ABV) without changing the name feels like deception…maybe even a cost-cutting measure. Not a good brand message. And the new Hop Czar Topaz I got in the box from Costco is a shadow of the original. Bummer, Bridgeport. The new Hop Czar will not be purchased again. It tastes bad.